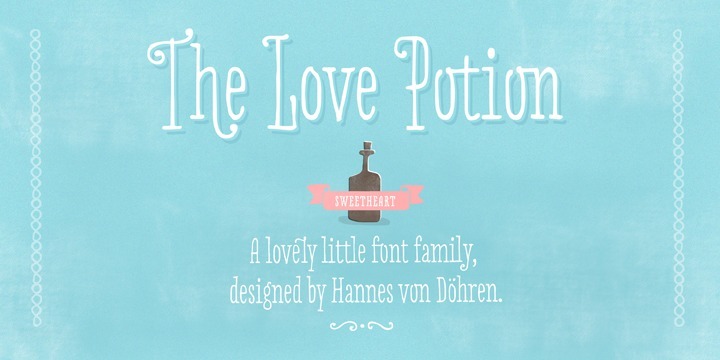 The mesmerizing typeface named Love Potion is crafted meticulously by Hannes von Döhren. The font belongs to the hand drawn serif type family and is anticipated to be used in specific applications such as wedding, food, clothes, living, etc. The font is ideally suited for wedding stationery and anywhere where love calls. The typeface is also well equipped for professional typography. It is also known for its exclusive OpenType release. The fonts possess an extended character that is set to support both Central as well as Eastern European and Western European languages.